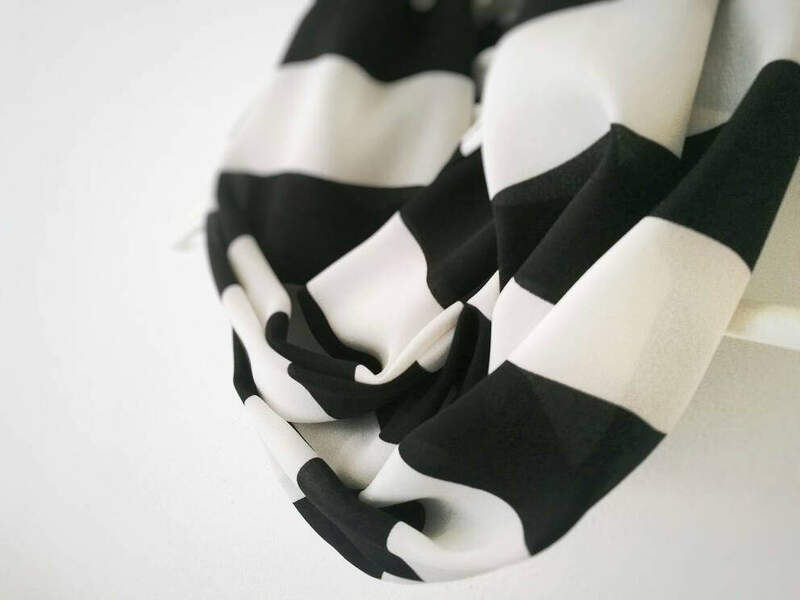 Striped infinity scarf for women, white and black printed scarf made in a polyester georgette fabric with fine finishes. 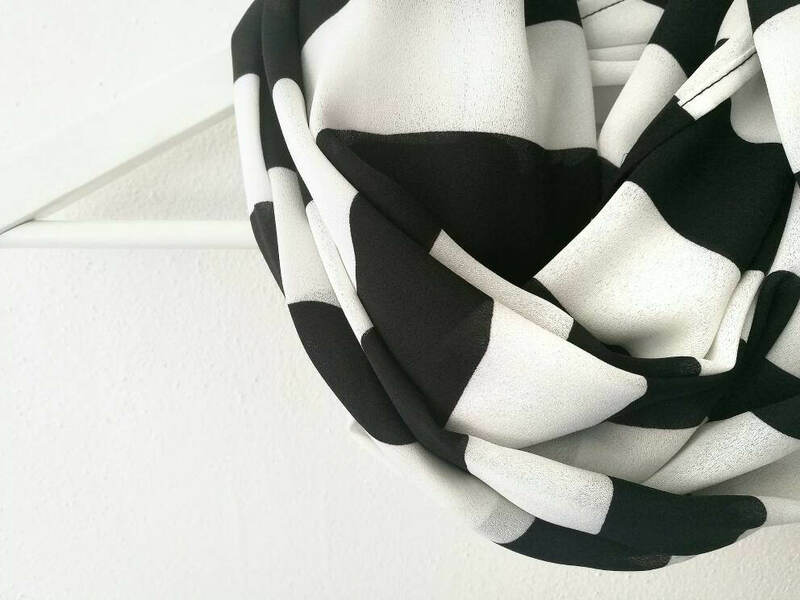 Totally handmade in Italy. 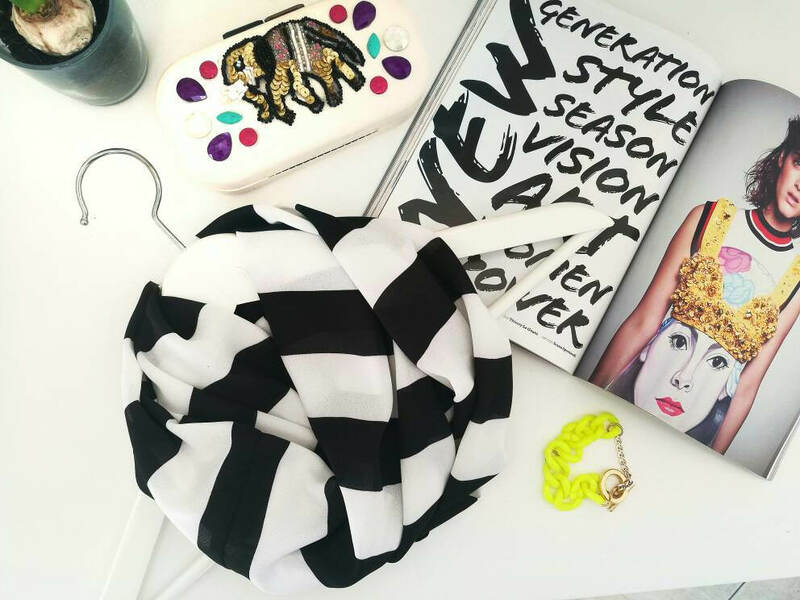 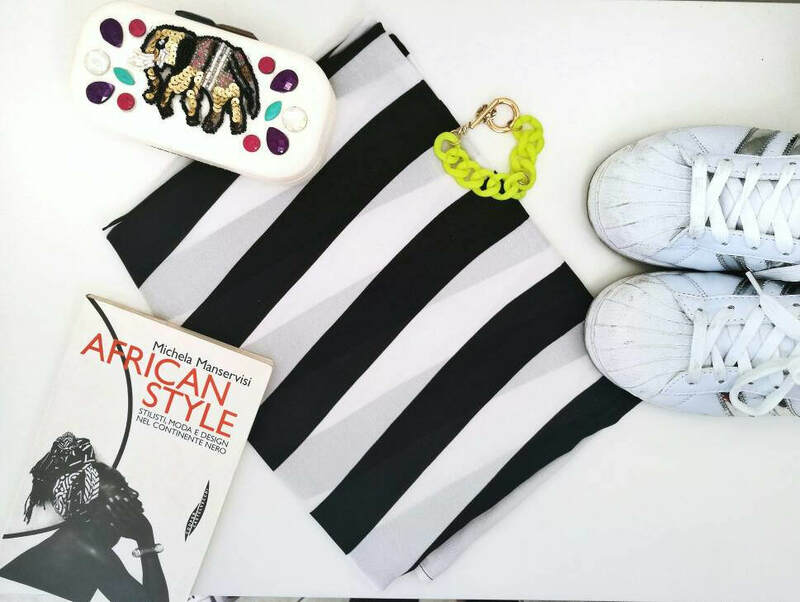 Print: black and white stripes. 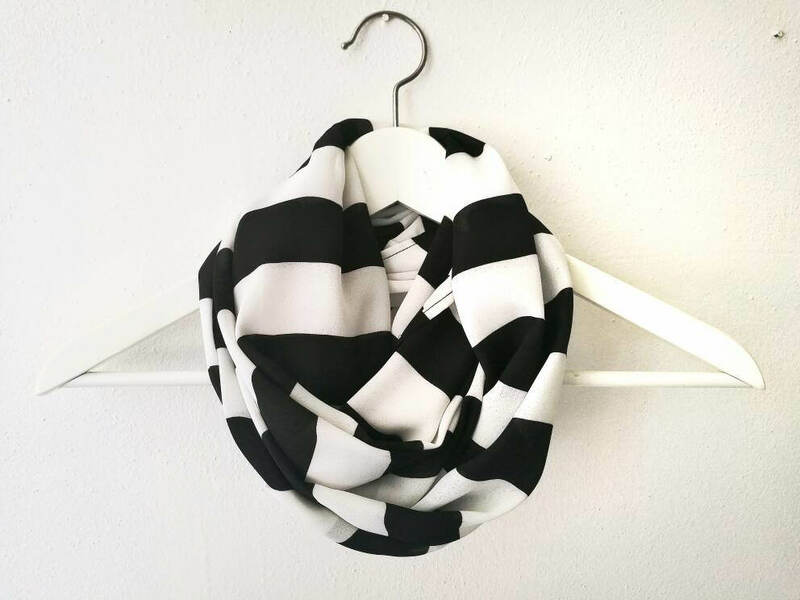 Wear this scarf on a colorful mini dress + white sneakers.